Apparently these are awesome, because I ran out of cookies for our small groups at church tonight. Part of the reason is because Matt took a few on his road trip to A&M, but in general, I guess I just didn’t make enough cookies!! I was craving Oreos earlier this week and bought a package to snack on. 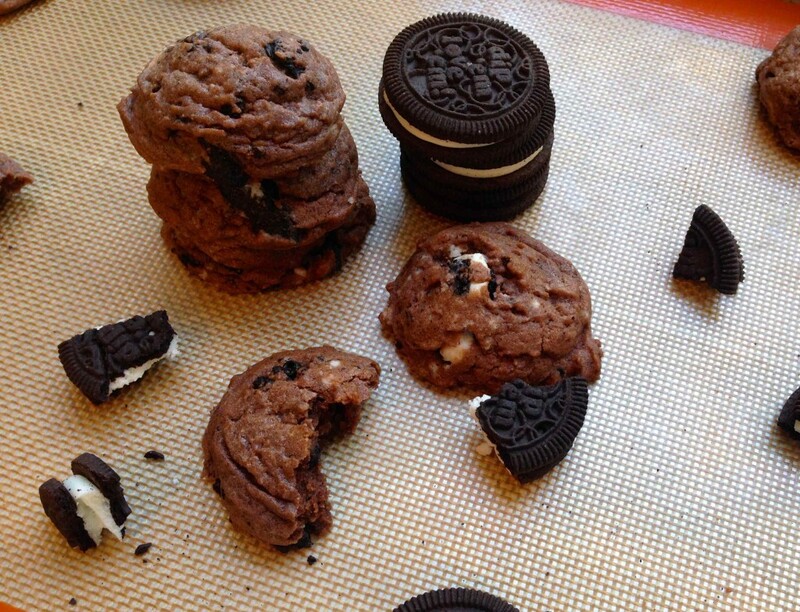 After I had my Oreo fix, I thought I’d use the leftover Oreos to make cookies for our monthly life group dinner. 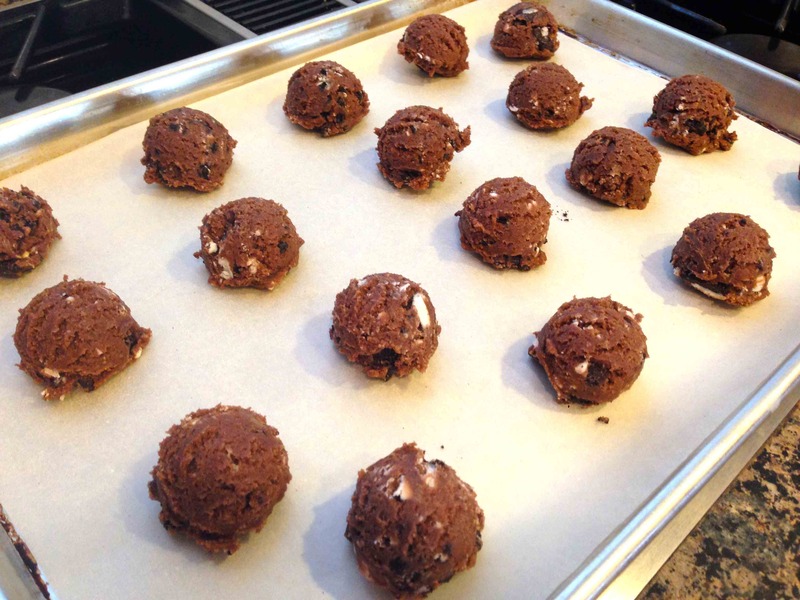 I’ve mentioned before that dream cookies are my all-time favorite cookie recipe. I guess my life group knows that, because I’ve gotten them hooked on dreams as well and they hope I bring them each month! “Dream” cookies are extremely soft and chewy cookies with a secret ingredient: instant pudding mix. The pudding mix makes them super soft. After a week, they would still taste as fresh as they did on day one…. except they normally don’t last past two days. 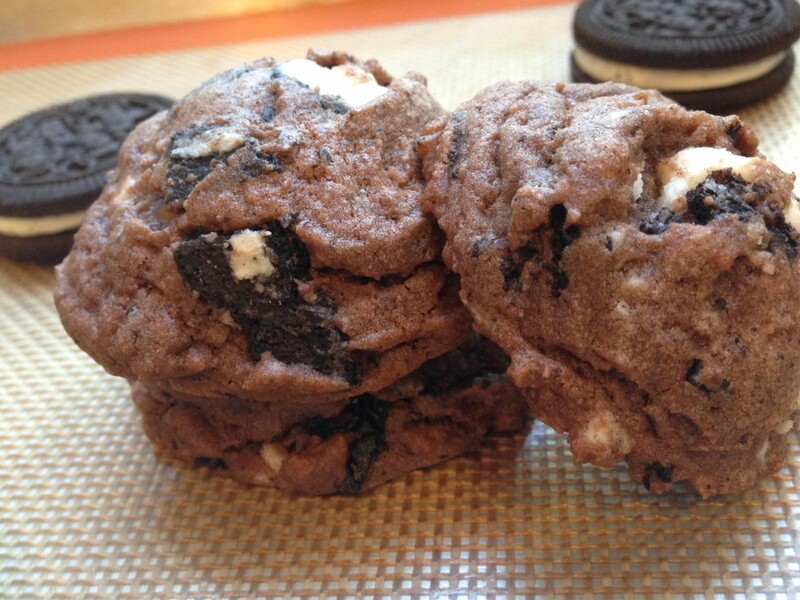 Now to add to the list will be these Chocolate Oreo Cookie Dreams! I will warn you, they are sweet! 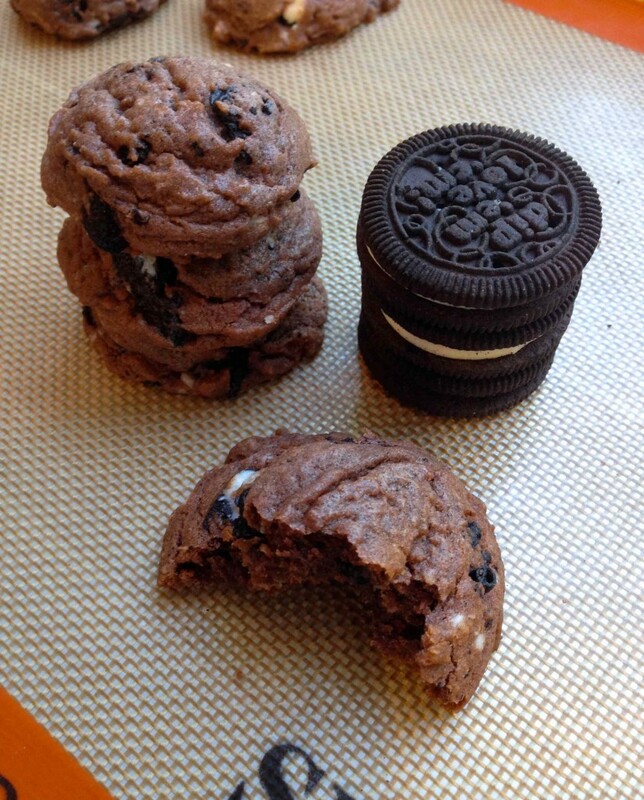 Basically you are eating a cookie within a cookie. 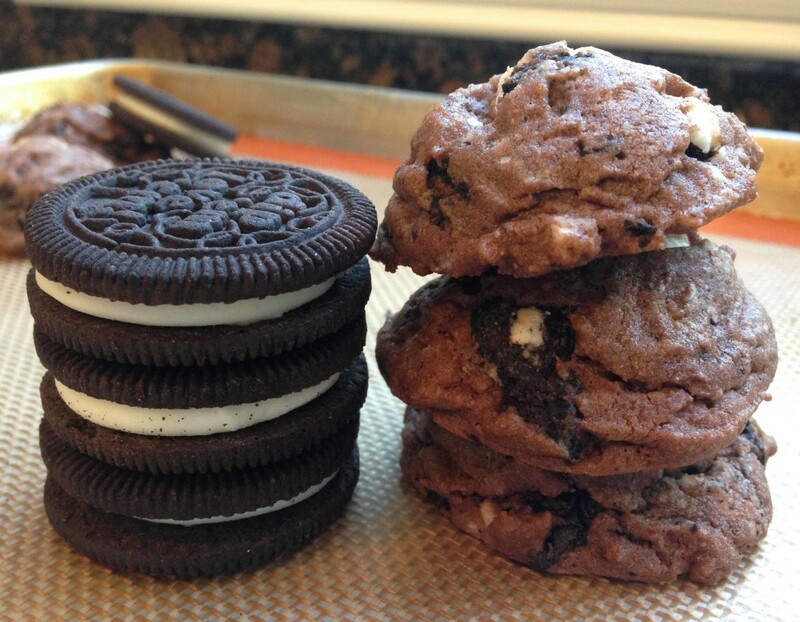 🙂 You could use regular Oreo cookies, but Double Stuf yields larger chunks and more of a cream-filled center. As I said, my church group loved them. Unfortunately Robin, Molly and Penny were the only three girls that didn’t get to try them. We were all talking and eating our dinner leisurely and didn’t realize the group (the boys “a-hem”) finished them off! I told them next time I’ll make two batches of dreams. Maybe I’ll even try a new rendition of them, and add M&Ms or some other candy bar. Feel free to add and substitute for whatever pudding and toppings of your choice. 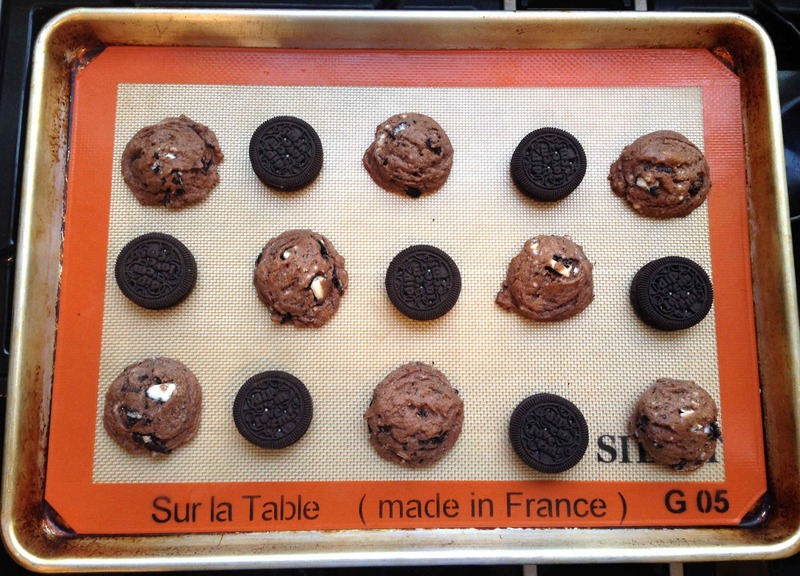 It might be fun to try an instant Oreo pudding mix. I used chocolate because that is all I had in the pantry. Enjoy! 1 cup packed light brown sugar (I used ⅔ cup light brown and ⅓ cup dark brown, but I think I like the taste of all light brown sugar best). In a bowl, whisk together flour, pudding mix, baking powder, soda and salt until well combined. Set aside. 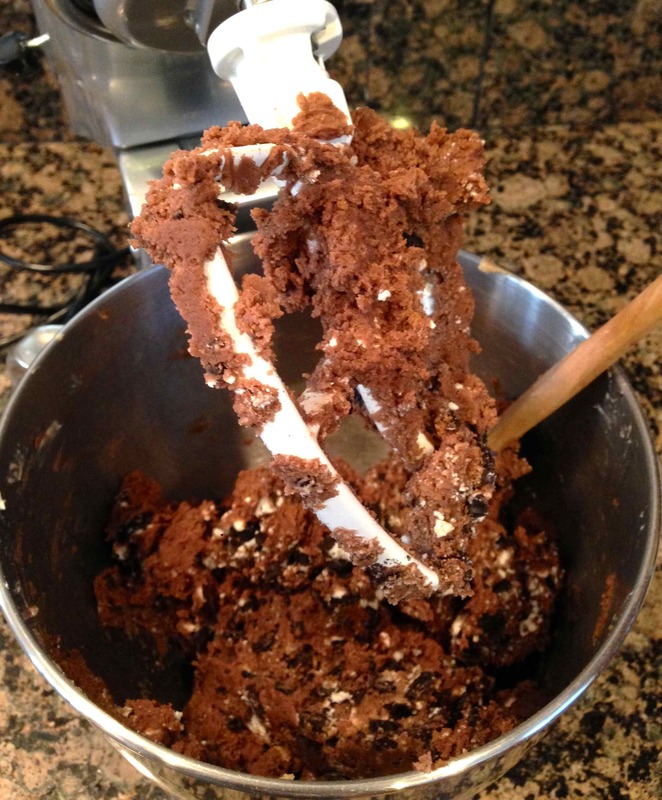 On low speed or using a wooden spoon, gradually add flour mixture, beating just until blended. By hand, fold in Oreos.